Wrist wraps can be a great tool for weight training, they work by limiting wrist movement, therefore aiding in wrist stability. 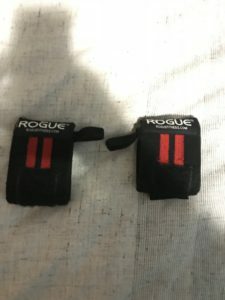 I personally have the Rogue Wrist Wraps and find them quite valuable for high rep max effort sets, as well as when I’m handling heavy weights. This because they keep my wrists locked in which helps to keep my form consistent when fatigued. This review will contain an overview, durability rating, performance rating, appearance rating as well as a closing opinion. The Rogue Wrist Wraps come in 6 different colours (I have the red and black), they are 3 inches wide and come in 3 different lengths of 12,18, and 24 inches. The prices are $12.75, $15.75 and $18.75 respectively. They are made of elastic, polyester and cotton (40%, 10%, 50%) and feature a hook and loop thumb closure. Overall, Rogue has a great variety for good prices with these wrist wraps. 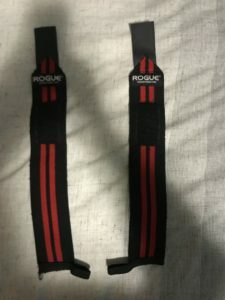 Check them out on Rogues website here for more information: https://www.roguefitness.com/rogue-wrist-wraps-red-black. Durability is key when it comes to any product, this because no matter how good a product performs or looks, it won’t do much for you if it doesn’t last, that’s why durability is at the top of the list. 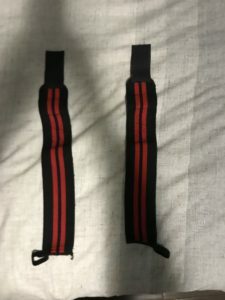 Overall, I would give the Rogue Wrist Wraps an 8/10 on durability because of how well they have held up overall for the past 10 months, and how I expect to be able to get quite a bit more use from them. The threads and fuzziness that is showing is why they didn’t receive an even higher rating for durability. When looking for a product you always want to find the one that will perform the best for your needs, for that reason I will be including a detailed functionality review so you can see if the Rogue Wrist Wraps are right for you! It is important to first know what the job of this product is, this involves keeping the wrist stable by limiting wrist flexion which is done by wrapping it around your wrist. Also, with these wraps, a thumb loop which pulls and locks the thumb back helps with wrist stability as well. These 2 methods work together to keep the wrist locked in and stable. The Rogue Wrist Wraps have a stretchier material which allows for a slight amount of wrist flexion. However, I personally don’t mind this because I like to have a little bit of “wiggle room” as it allows me to get my wrists in my preferred position, and with these wraps, they still provide an ample amount of stability. If you want more stability and less wrist flexion which I prefer for certain movements such as a heavy bench press, you can always wrap them a bit tighter, I find this gives me a fair amount of added stability. Please note, do not wrap them deathly tight as you don’t want them squeezing so hard it cuts off the blood flow and makes your hands go numb, you just want the stability aspect. I feel like the thumb loop closure could have been made a bit stiffer because it could hold the thumb in a more locked in position then it does. This would add stability to the wrist without affecting the wrist flexion that I personally prefer. Overall I would give the Rogue Wrist Wraps a 9/10 on performance because I like being able to get your wrists in the right position while maintaining stability. Also, I like the ability to create even more stability by wrapping them a bit tighter. The only reason they did not receive a 10/10 is that of the room for improvement with the thumb loop closure. Let’s be honest, appearance isn’t the main thing we’re looking for when it comes to purchasing products for the gym. However, if we’re already going to be buying we might as well buy something that we like the looks of. Let’s find out if these wrist wraps are as eye-catching as the durability and functionality. The Rogue Wrist Wraps come in 6 different colours which gives tons of variety so you can pick your favourite colour or one you think looks good with the product design. Speaking of design, these wraps feature a quite simple yet nice looking one with a dual colour striped pattern with differing widths of the stripes. These attributes give these wrist wraps a sleek yet eye-catching design. They also feature the Rogue brand on them which adds to the look, it’s also always nice when you’re buying a quality product from a well-known brand to have this. I would give these a 7/10 on appearance because of the clean and nice looking design. They don’t feature anything special in regards to their appearance which is why they didn’t receive a higher score. Overall the Rogue Wrist Wraps are a great product! They are quite durable while maintaining great function with a stretchy yet stable and supportive material and product design. The variety of colours and a nice looking appearance makes it easy to pick a pair you will love the looks of! If you’re looking for a very rigid and stiff wrist wrap, I would suggest looking into another pair that would tailor to these characteristics. Although the wear on the wraps is minor, if you don’t mind spending a little extra money, I am sure you could find ones with a bit better of quality. All in all, the Rogue Wrist Wraps are a great product! I would give them an overall rating of 8/10 and would suggest this product as a great buy if it fits your needs. I thank you for reading my review and hope it gave you some insight into the Rogue Wrist Wraps! As always, if you have any questions or comments please don’t hesitate to leave them below and I will be sure to respond! I’m not that familiar with wrist wraps although I can see what they’re used for. You bring up a good point in explaining that they protect your wrists (which makes sense) from being injured. I’ve been in the gym before and I’ve seen people working out with these on. I think they are a great idea because after all nobody wants to injure their wrists or any other part of their body for that matter. My sister uses these when she goes to the gym. I’m going to ask her if she uses the Rogues.Do you suggest any other particular piece of equipment like the wraps for any other part of the body? Glad you found the review helpful! They won’t prevent wrist injury however they can help! As per your question, another piece of equipment that can be beneficial are knee sleeves. In short they compress around the knee keeping it fairly tight and warm. 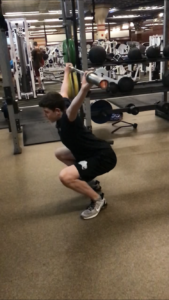 They can be good for reducing risk of injury and can allow you to lift slightly more weight in some cases. I will be doing a review on my knee sleeves in the near future! Please note, if you are starting out I would suggest just lifting with yourself and focusing on proper technique and such before you start wearing gear (it for sure isn’t a necessity). I have a lot of trouble with my right wrist, and so I was looking around and found your article. I have a wrist guard that I wear, but it has a big chunk of metal in it, and it’s extremely uncomfortable. I was thinking that maybe a wrist wrap might be better than the guard. I like the fact they come in different lengths. I also love that it comes in different colors, too, because my guard is black and that’s it. I’d like some options when it comes to colors. I was hoping to see a link to buy the wraps. Do you know the best place to get them? Hi there, glad you found the review helpful! Please note, if your current wrist “guard” was suggested by a doctor I would be careful with switching it for a wrist wrap. Consult the doctor prior to purchasing this if that’s the case. You can purchase from Rogue Fitness if you do choose to buy. Thanks for your review of the Rogue Wrist Wraps. I think I would definitely find these useful during training as my wrists are quite weak. Do you think it would be beneficial to alternate between using wrist wraps and training without them to gain more strength overall? Also do you know if they can be washed in the washing machine? I’m worried they might start to smell after prolonged use. No problem! As per your question, I think that would be a good idea. Maybe use them for heavier sets but I would try to go without them for more sets then not to build up wrist strength/stability. If you are new to weight training I would suggest starting without them at all for the first while until you have the proper technique and have built up the fundamental strength and stability.